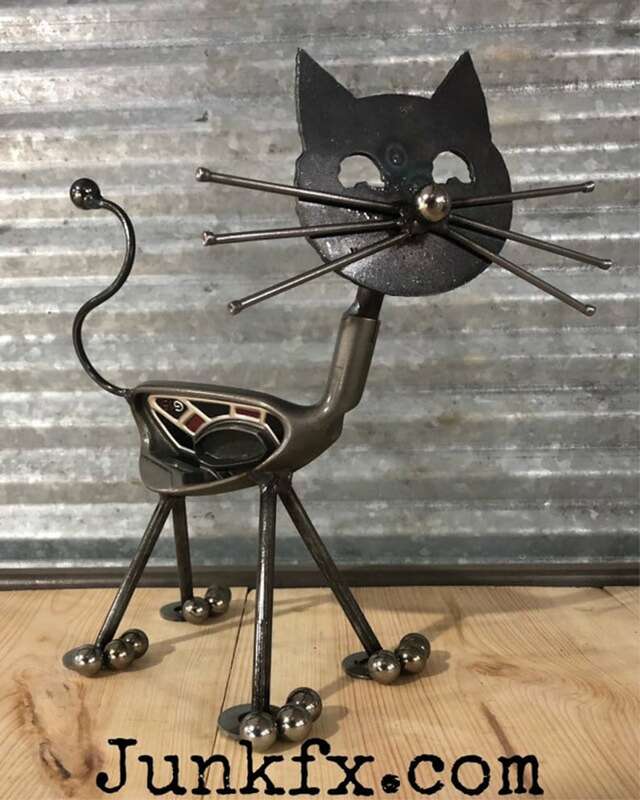 I make these cats from vintage golf clubs. Perfect for the golf enthusiast. Stands 12 to 15 inches tall. Responded asap and shipped asap. very pleased. Cute item! This is a wonderful piece of art! It will make a great Christmas present for my golfing dad!! !